The FINANCIAL -- The first estimate for euro area (EA19) exports of goods to the rest of the world in May 2018 was €189.6 billion, a decrease of 0.8% compared with May 2017 (€191.2 bn). Imports from the rest of the world stood at €173.1 bn, a rise of 0.7% compared with May 2017 (€171.9 bn). As a result, the euro area recorded a €16.5 bn surplus in trade in goods with the rest of the world in May 2018, compared with +€19.3 bn in May 2017. Intra-euro area trade rose to €162.3 bn in May 2018, up by 0.5% compared with May 2017. In January to May 2018, euro area exports of goods to the rest of the world rose to €927.6 bn (an increase of 2.8% compared with January-May 2017), while imports rose to €847.6 bn (also an increase of 2.8% compared with January-May 2017). As a result the euro area recorded a surplus of €80.0 bn, compared with +€78.0 bn in January-May 2017. Intra-euro area trade rose to €808.0 bn in January-May 2018, up by 4.8% compared with January-May 2017. The first estimate for extra-EU28 exports of goods in May 2018 was €160.9 billion, down by 2.7% compared with May 2017 (€165.4 bn). Imports from the rest of the world stood at €160.7 bn, down by 1.4% compared with May 2017 (€163.0 bn). As a result, the EU28 recorded a €0.2 bn surplus in trade in goods with the rest of the world in May 2018, compared with +€2.3 bn in May 2017. Intra-EU28 trade rose to €294.7 bn in May 2018, +1.6% compared with May 2017. In January to May 2018, extra-EU28 exports of goods rose to €786.6 bn (an increase of 1.5% compared with January-May 2017), while imports rose to €795.7 bn (an increase of 1.6% compared with January-May 2017). As a result, the EU28 recorded a deficit of €9.1 bn, compared with -€8.1 bn in January-May 2017. Intra-EU28 trade rose to €1 457.3 bn in January-May 2018, +4.6% compared with January-May 2017. 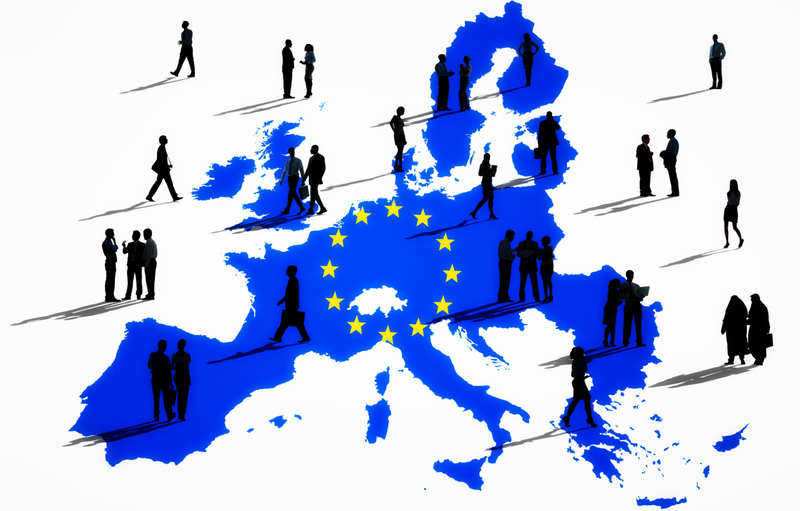 Previous Article How is the European Union progressing towards its Europe 2020 targets?